MADISON, TN--(Marketwired - December 12, 2013) - Christmas is a special time of year, full of happiness, family reunions, and most of all, a celebration of the greatest gift: the birth of Jesus. Christ's promises of unconditional love, unyielding support and everlasting life have brought peace and joy to the lives of countless people across the globe. Cristy Lane is one of them. With His strength and comfort, Cristy learned to live her life "One Day at a Time." 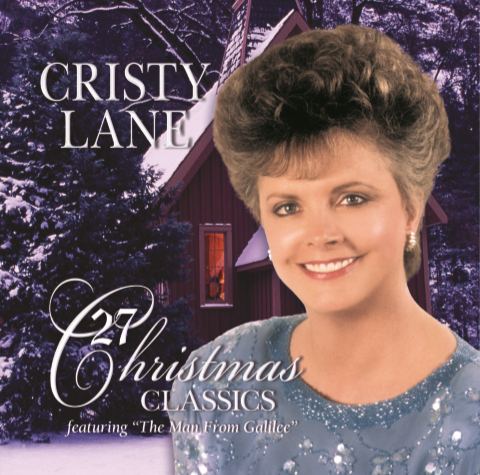 This Christmas, Cristy Lane would like to celebrate by offering both her #1 million selling biography One Day At A Time and 10 songs -- 8 off her new album I'm With You Tonight plus 2 from 27 Christmas Classics -- as free gifts, available for download at cristylane.com. Additionally, her special 30 minute biography is airing on TV at 3 times this month: 12/16 at 10:30 am (EST), 12/19 at 6:00 am (EST), and Christmas Day 12/25 at 9:30 am (EST). Check your local listing for more information. 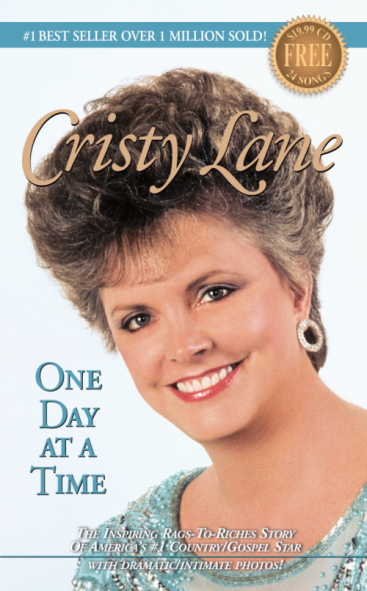 One Day At A Time - The compelling and heartrending story of Cristy Lane's life and how she overcame what seemed like impossible odds. If you read one book this year, make it One Day At A Time. Perhaps the greatest success and love story ever told, this biography reads like a novel and features over 75 pictures plus Cristy's favorite prayers. Choose from either ebook or Talking Book® format at cristylane.com and download your free copy today! All 8 songs can be downloaded free at cristylane.com. 27 Christmas Classics - A compilation of some of America's favorite Christmas songs, this album features "Away in a Manger," the classic song about Christ's lowly birth and the everlasting comfort He brings, and Cristy's favorite "The Man from Galilee." Both are now free to download at cristylane.com. Cristy hopes that everyone across the nation will enjoy her free gifts and tune in to see her 30 minute TV biography airing at 3 times this month: 12/16 at 10:30 am (EST), 12/19 at 6:00 am (EST), and Christmas Day 12/25 at 9:30 am (EST). Don't forget to download your free Christmas gifts and check your local listing to see where you can watch Cristy's special TV biography! 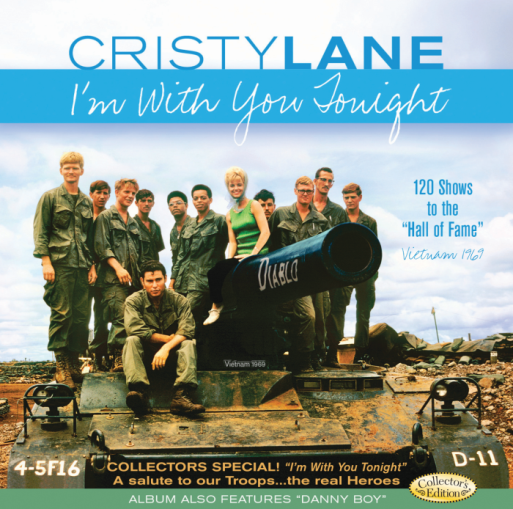 Cristy Lane, recipient of the Top New Female Vocalist of the Year Award by the Academy of Country Music, is an award-winning international star whose music and life story have touched the hearts of millions around the world. 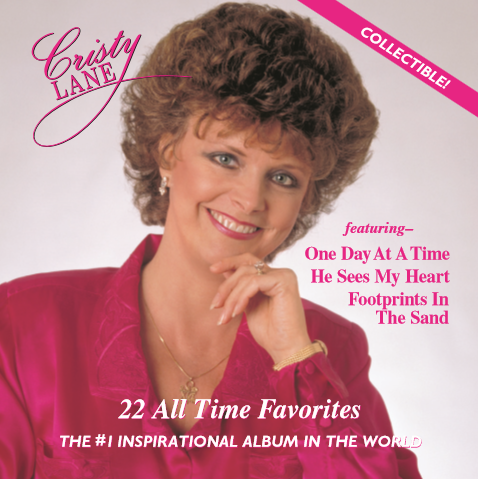 Her signature song, "One Day At A Time," and her biography by the same name were both #1 million sellers. Due to the overwhelming success of her book as well as demand for more Cristy Lane, a movie about her inspiring life is now in the making! The official script is being written now. Visit cristylane.com to stay updated.